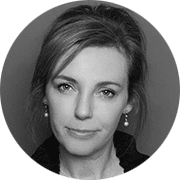 Julie Scott has over 25years experience in the field of plastics and skin rejuvenation, and is a member of the BACN and RGN having qualified as a Plastic Surgery Nurse and Nurse Prescriber. Upon graduation Julie worked as a plastics and reconstructive Nurse at leading NHS hospitals in the UK, she then became the Clinical Nurse Specialist for a renowned group of London Plastic surgeons. Since 2003 Julie has been the clinical director of Facial Aesthetics Limited providing wide ranging therapeutic techniques for skin aging and dermatological skin conditions for clients across Essex. Having worked with a number of leading surgeons she is excited to have been trained and chosen to be an ambassador for the ZO Skin Health brand, as she has a passion for promoting skin health for her patients. She offers a complimentary skin consultation prior to any treatment protocols, believing in prevention and maintenance to achieve maximum skin health.